With holiday season well and truly upon us, I'm starting a new series of posts about useful travel beauty solutions. As a true beauty junkie, I like to make sure I have everything with me I need when I go away, but I also like to streamline my packing (heavy bags are not the one unless you have assistants to wheel them around for you!). 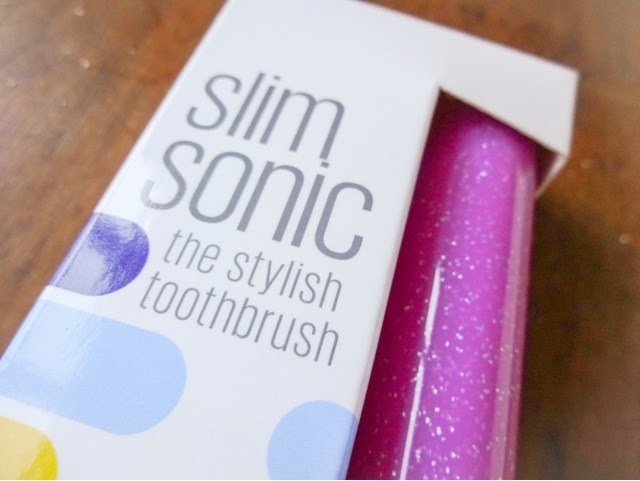 Lately I've found some very lightweight travel solutions that deliver serious results, the first of which that I'm reviewing today - the VioLife SlimSonic Toothbrush. Would you love a toothbrush that could improve your teeth’s whiteness, and also look good doing it? 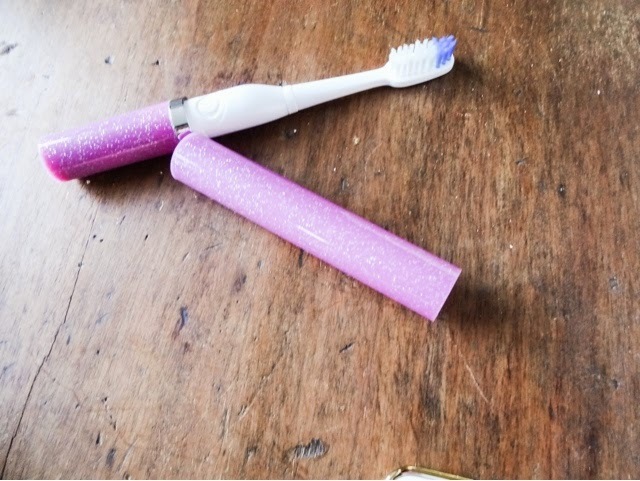 Caring properly for your teeth is an obvious beauty basic, and so I’m into finding new brushes, pastes and whitening products. 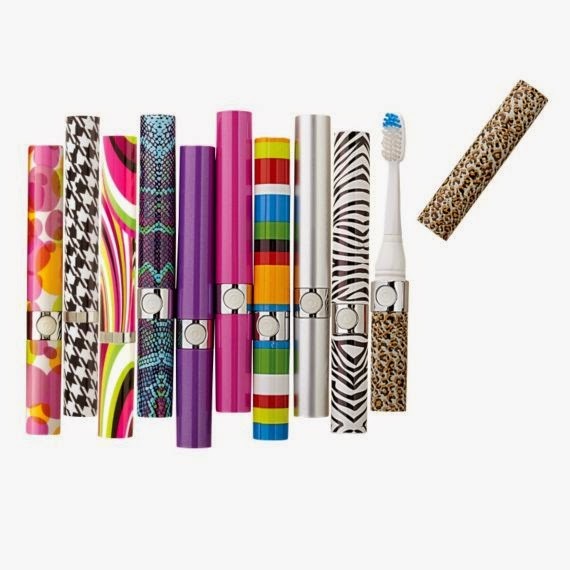 If you’re of the opinion that your toothbrush shouldn’t have to look boring, you’ll also like this one. Unlike a lot of power brushes, which are pretty bulky, VioLife’s big selling point is how slimline it is – and also how darn pretty. This is no bulkier than a regular manual brush, which is appealing if you don’t want to lose space in your travel bag by taking a large electric brush and charger station. It simply uses batteries to power it, which I much prefer. I hate remembering to charge brushes all the time, so to me its much more convenient to have a battery -and if you prefer to mains charge, you can actually get mains-rechargable batteries that will fit this. Despite its slimline design there is no loss of power with this – you get a very thorough feeling clean indeed. There are 22,000 brush strokes per minute with this, so your teeth get the royal treatment. There are also ‘sonic optimising precision bristles’ to ensure this performs as well as looks good. This comes with its own vented cap at the top which means it travels with the brush head hygienically protected from dirt while not in use, which is an absolute essential in my book. When you buy it, there is a spare brush head included as well, which I loved, because usually the brush heads are stupidly expensive (they aren’t so bad for this -a pack for four is around £11.00, which is the cost of ONE for the brush I was using at home). 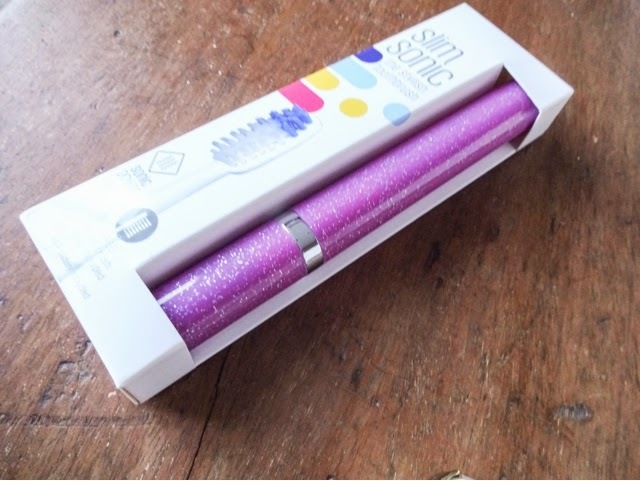 And this definitely takes the award for the most stylish brush I’ve used – its available in a massive variety of colours and beyond-cute prints. This one is ‘orchid shimmer’ or a glittery purple, but there are some very cool graphic prints as well. I love that this takes up no space in your travel bag – and is ideal for a handbag as well if you like to brush during the day. I have started using this for my regular brush because there’s nothing not to like about it - and the heads are cheaper to replace than what I was using anyway. You can pick these up in Boots for £19.99 but take a look on eBay first, because I found them on there for £12.00 with free postage.